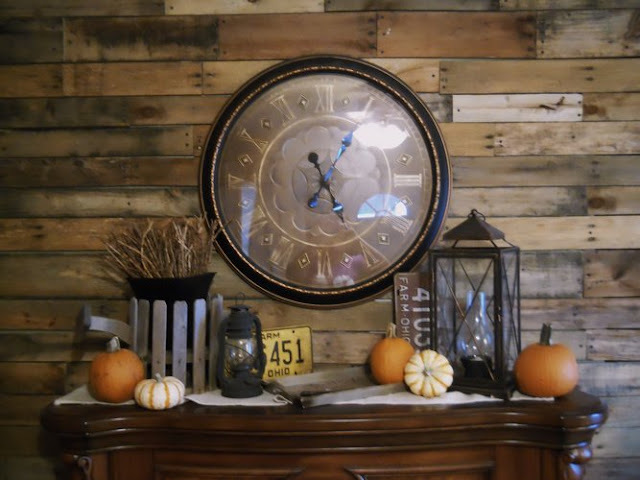 My favorite trash to treasure project of the year goes to the pallet wall. Even though the wall was completed a few months ago I still can’t get over how beautiful trash can truly be. My husband and I dismantled 7-8 pallets to complete the wall and attached the pallet boards using screws from Home Depot. We used various widths, lengths, and colors of wood slats to create a somewhat colorful wooden wall. I added a few boards to the kick boards of the stairs next to the wall to complete the look. ﻿ Love it! For the trim along the ceiling we added more pallet wood to both the living room and dining room. I love turning trash into something beautiful and pallet wood adds a beautiful rustic look to any decor project. Plus, let’s not forget you can pick up pallets from a few local business for free. Rustic + free= love in my book any day. This is only the beginning to my living room and dining room redo so stay tuned for more trash to treasure decor. Good for you!! Looks great, and so much smarter to use what you have instead of paying megabucks! Andrea – love your wall!!! I am just about to do this same thing to the wall right behind our bed. I love the way it looks! Andrea!! It’s BEAUTIFUL!!! I can’t believe how gorgeous your wall is. Fantastic idea! Thanks for sharing this at Throwback Thursdays! truly loved surfing around your blog posts. In any case I will be subscribing for your feed and I hope you write once more very soon! Wonderful website. Can not wait to “tryout” a few of your ideas! THANK YOU!